Locations can be created to define different areas of work within the business. 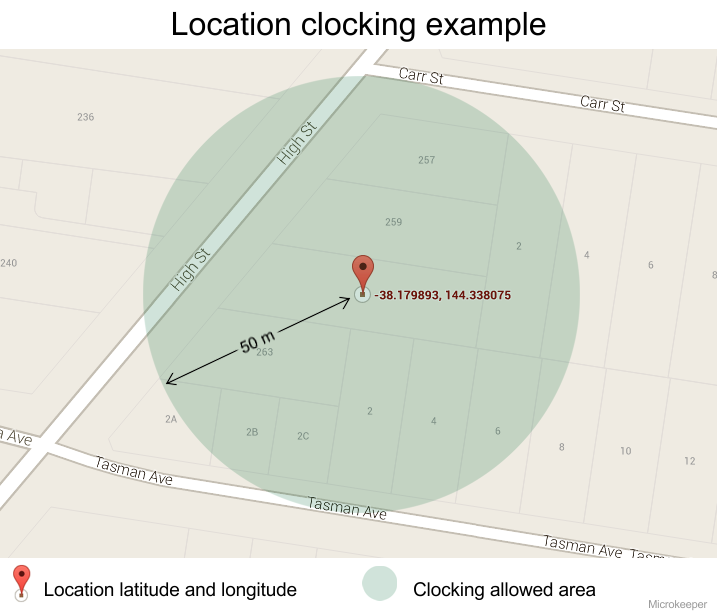 A location might be a work site, department, shop, factory or combinations of each. Locations are used to define areas of your business, if making rosters a location must be created for each area of the business that a roster will be made for, this allows breaking down the business as required. Each Location also has a corresponding color assigned to it when Rostering, allowing the clear visual distinction between locations in the Roster. Example Kitchen and Bar might be two locations set. this can be used to allow employees to clock their worked hours within this area. When clocking in from a GPS enabled device like a smart phone the employee can clock in once they are inside the designated area. 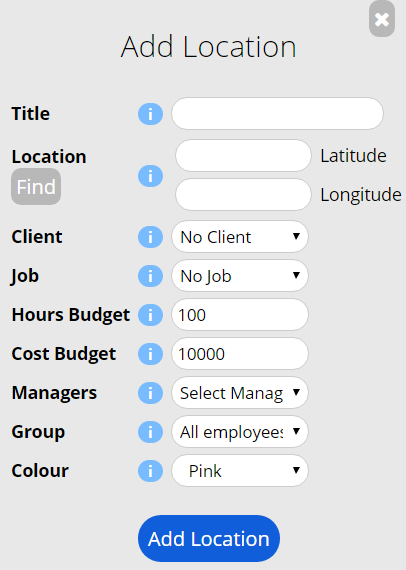 A location can be assigned a job, if an employee clocks on at a location the job assigned to that location will be attached to that timesheet entry. This allows the business to track how many hours have been worked at what location. The only field required is the Title. Use the info dots for more information about each field. To delete a location click delete on the far right. When a location is deleted it will be removed from the list but not completely destroyed. The deleted locations and relative roster data will no longer show up anywhere throughout the Microkeeper system. Deleted location can be undone if required.